Long ago our ancestors were oppressed in Egypt until the Most High sent Moses to redeem us by His hand. In the month of Abib, on the 14th day of the month at midnight, Yah sent one last plague on the Egyptians which left all of the first born of the land dead throughout the night. The Most High spared us by the blood of a sacrificed lamb placed on the top and sides of the doors of our houses (Exodus 12). This brought about the first Passover. All of these things are a shadow of the Messiah. 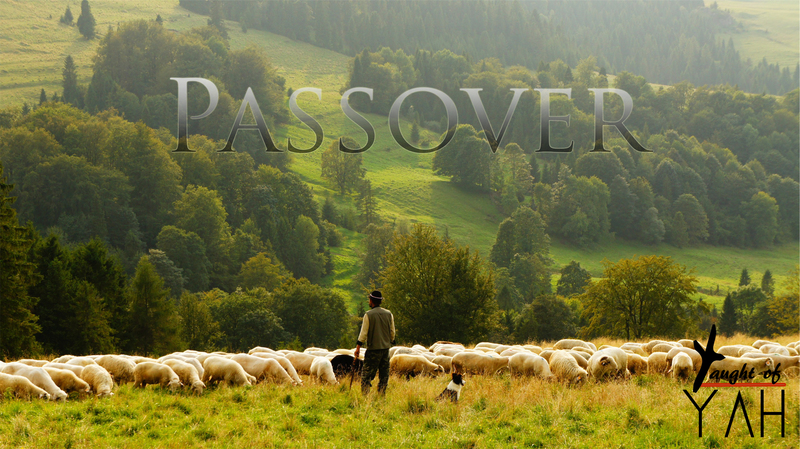 He being the Passover Lamb crucified on the 14th of Abib (John 1:36, 1 Peter 1:19), He rested in His tomb on the high Sabbath and the weekly Sabbath then rose the day after the Sabbath — the third day — which was the First Fruit Waving (Leviticus 23:11-12, Matthew 28:1, 1 Corinthians 15:20), and He also taught us to live without leaven in our lives (Luke 12:1). All this, we observe in the Salvation of Yah offered through the Son.